Always Answered Our Calls, Texts or Emails Promptly! "We found ourselves in the unfortunate situation of having to relocate our aging parents closer to family rather quickly. Bill and Cyndi were very easy to work with and always answered our calls, texts and emails promptly. We appreciated their knowledge of the market and the sale process. We will be forever grateful to Bill and Cyndi for helping us to coordinate the moving of the contents of our parents' home in our absence. They saved us the expense of having to make the trip to close things up once the home sold. We can highly recommend Bill and Cyndi as real estate agents who get things done even in difficult situations. Thank you!!!" Dear Tony: I would like to express my gratitude for you and your real estate team. The property recently purchased from your bank had numerous unique problems which were quickly and professionally resolved. Cynthia Daves stayed on these problems, did excellent research, follow-up and kept us well informed. Tony, please pass on my appreciation and compliments to all involved in getting this difficult situation resolved in such a quick and responsible manner." Best Realtor We Have Worked With! "The Daves are great to work with. When they are on your side, you don't spend time wondering what is going on. They keep you informed daily. Best realtor we have worked with!" "Bill is an outstanding real estate agent! I had traveled down from NJ to go house-hunting in the region, and Bill was able to fit in seeing a huge amount of homes in the little time I had. He is extremely enjoyable to work with, and knew the answer to almost all questions I had; those questions he did not know the answer to, he was expeditious in finding out the information. He went above and beyond in all aspects of my search for a home; I could not have asked for more. He definitely scores a 10 out of 10!" Can't Say Enough Good Things About My Experience! "I cannot say enough good things about my experience working with Bill and Cyndi Daves (TeamDaves) in my recent purchase of a Summer home/ vacation property in Andrews/ Murphy, NC. I am a widow with no experience in dealing with real estate and I was very nervous about how to handle buying a house on my own. I need not have worried- beginning with the very first contact with Cyndi, I was in good hands. They were always accessible, answered all my questions and walked me through that maze of contracts and inspections with a high level of professionalism. I could not have asked for better service. I would strongly recommend Cyndi and Bill for any real estate transactions in their area." I'm Sure You Are Following A Higher Calling! "Thank you for the very kind words about our family and the NC home. We can all learn a lesson from all of this You both are so very good at what you do, I'm sure you are following a higher calling. That, I thank you for! Along the way, you have impressed me with your professionalism, business ethics, honesty and care for your clients. I cannot say enough about you two as agents. If you are ever up our way we would love to see you." 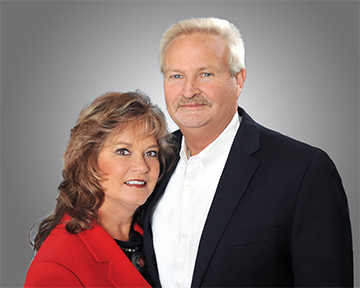 "We would highly recommend Bill and Cyndi for your real estate needs. They are very professional and friendly, always a prompt response to phone calls, texts or emails. Very impressive marketing plan." "Bill and Cyndi exceeded my expectations and, with their help, I was able to find my dream mountain home. Bill worked so hard to find the perfect home for me, was so skilled in the negotiations and was so good about keeping me informed throughout the process. I highly recommend them and look forward to working with them again." Team Daves Is The One To Go To! "Bill and Cyndi are the most knowledgeable, friendly, and helpful realtors we have had the pleasure to work with. They will work above and beyond what should be expected of anyone. They work 24/7, sometimes late into the night, to get the job done. If you ever need a realtor Team Daves is the one to go to." "Bill and Cyndi have helped our organization market and sell many properties within the past few years. They are quick to respond and always put their clients first in all matters. Their work ethic is top notch and I have no hesitation in recommending their services." "Cyndi is a pleasure to work with! She listens to what you are looking for and is attentive to detail. She has expertise in the local market that is unmatched by many other agents. She also is very responsive and makes herself readily available, whether it be for showings or phone calls. I highly recommend Cyndi for any of your home search or business search needs." They Are A Power Couple!!!! "Great couple. I was originally working with Bill and then with Cyndi. I was worried about the switch because Bill was so excellent however Cyndi has proven that they are a power couple! Great team, they are very knowledgeable, professional and go-getters! Quick and easy sale!" "Great team. Both Bill and Cyndi know their business and strive to help buyers and sellers understand the local market dynamics and obtain results. We have really enjoyed both buying and selling our home with Bill and Cyndi. They keep you informed during all aspects of the buying/selling process and the lines of communication are always open. Cannot go wrong with this team working on your behalf." "Kent and I worked with Bill and Cyndi Daves - Team Daves - to find our second home with the perfect mountain view. It was a great experience working with Cyndi in finding our mountain getaway and Bill found us a contractor after closing who can do it all!! They know the right people for every need. Cyndi and Bill did a great job and we are more than pleased. "Our adventure with Joe and Zandra covered lots of miles, several months and several offers until we found just what they were looking for. It's always so much fun to see the look on a buyer's face when you know they have found IT! "Let us begin by saying with the patience and help from Bill and Cyndi we were able to find the perfect "cabin in the woods". They tirelessly worked with us and gave freely of their time. Our new place in the mountains is remote and situated on rushing creek with unspoiled surroundings. Not for everybody, but just what we were longing for. Without Bill and Cyndi's help none of this would be possible. We cannot sing their praises loudly enough. " We Have Bought Three Houses From Them! "We have known Bill and Cyndi for 18 years or so. We have bought (and sold) three homes from them and would recommend them to anyone. They always had the time for us - sometimes all day long!" "Bill and Cyndi did an excellent job of servicing our needs both as builders of our second home and as agents on the sale 5 years later. My wife and I found Bill and Cyndi to be responsive, knowledgeable and considerate of our needs in all aspects of our working relationship. Along the way, we became good friends as well. We would not hesitate to recommend them to others."